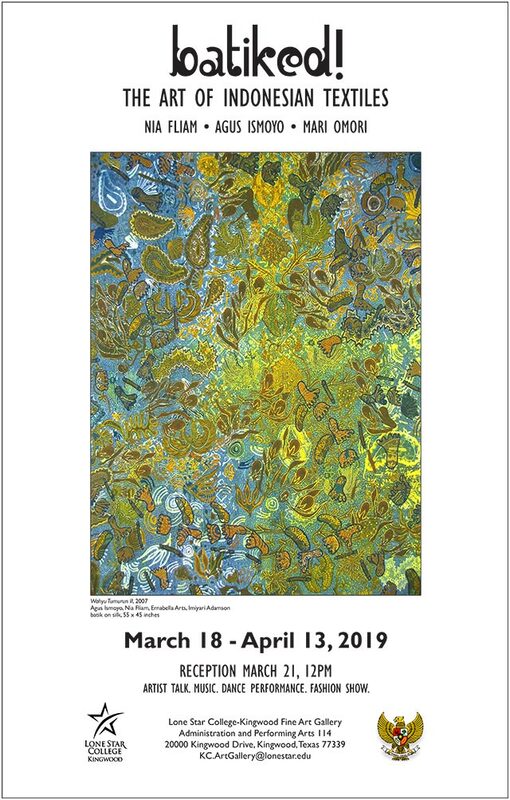 View the images from the 2019 - Batiked! : The Art of Indonesian Textiles exhibit. As an educational institution we continue to foster an environment that promotes an interaction and exchange. We invite you to participate in this dialogue. Dates and times of gallery openings and artist lectures can be found under the Exhibitions link on the left side bar. Also under Exhibitions you may find past show information, videos and catalogs. If you would like more information about upcoming gallery events, including student and CPE workshops, please contact us.